This comprehensive collection of leading articles covers legal issues that have arisen out of international sports competition and its management. 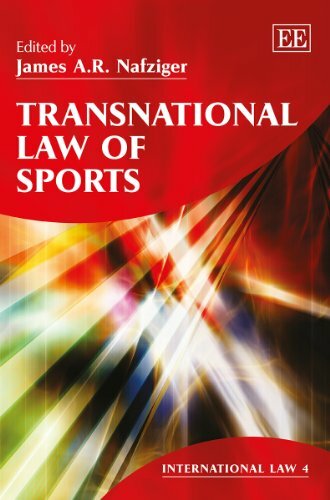 These papers trace the burgeoning field of international sports law from its origins about a half-century ago, through the course of complex challenges ranging from political boycotts of competition to doping of athletes, corruption, discrimination, players’ rights and commercial influences such as broadcast rights. Within a unique institutional framework of national, international, non-governmental and inter-governmental authority, the emerging regime of public law is of fundamental importance not only to the sports industry and bar but, quite obviously, to a global public. This authoritative collection puts particular emphasis on the central role of the Olympic Movement and affiliated sports federations, the regional mechanism of the European Union and the characteristics of the European and North American sports models. The collection, along with an original introduction, will be of interest and value to students, researchers, academics and practitioners interested in international sports law.